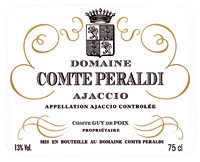 Superb Ajaccio Comte Peraldi rouge 2009, of beautiful steady robe, with the spice and blackberry notes, combining structure and suppleness in mouth, with rich tannins, for which it is necessary to leave time to be melted, to open with a leg with the string, of excellent evolution. Remarkable Comte Peraldi rosé 2011, of beautiful color, full, fond of delicacies, rich, with this nose of pink and lily, and this characteristic spice point. Comte Peraldi blanc 2011, with the peach notes with finally a grapefruit point, sharp and round at the same time, is full, all in aromas. Very beautiful blanc cuvée Clémence 2010, one of my best gustatory memories of the year in this appellation, of nice robe, with this characteristic nervousness well-balanced, sharp and delicate, all in sweetness, of good mouth, with the ripe fruit notes, really very charmer. 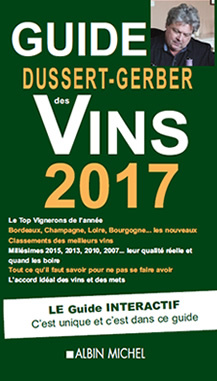 There is also this cuvée Clos du Cardinal rouge 2009, matured out of barrels, marked by its soil, a wine of a beautiful ruby deep, full and firm, bulky stops some with connotations of blackcurrant, liquorice, spices, fleshy, rich, concentrated, with silky but powerful tannins, of guard.